Stew the onion with a little extra virgin olive oil. Toast the rice and add the pumpkin cut into pieces. Add the stock and cook. Take a strainer and filter the rice to obtain the core. Store in the fridge. 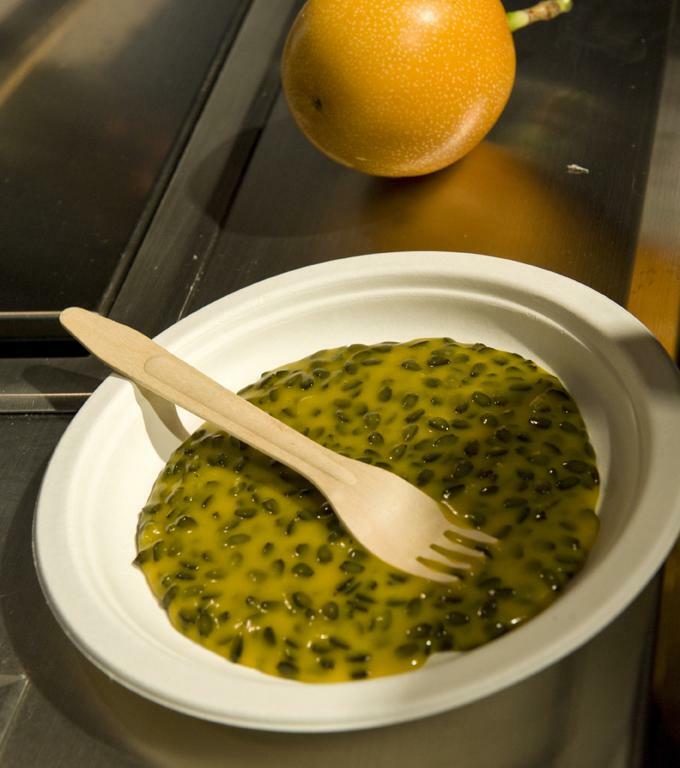 Open the passion fruit, remove the seeds and sieve to eliminate the pulp. Remove the impurities and dry in the oven at 65 °C for 24 hours. Store in a dry place. Gently fry the seeds with a little extra virgin olive oil, add the pumpkin starch and reduce. Once thickened, take off the heat and stir in the butter and Grana Padano, obtaining the feeling of a risotto which is so "al dente" as to be crunchy.